Contrary to popular belief, sunglasses are not just for when it’s warm. Here at Ape, we’re constantly baffled as to why the squinting masses don’t just commit to a great-looking pair of shades and carry them everywhere as a daily essential – just like they do with normal spectacles. Not only are sunglasses a constantly neglected chance to add flair, personality and a general sense of unwavering cool to an outfit, they’re also imperative for keeping your eyes healthy. Blocking damaging UV rays – whether on an unexpected sunny winter’s day or at the height of summer – is important. Doing it in style is even better. 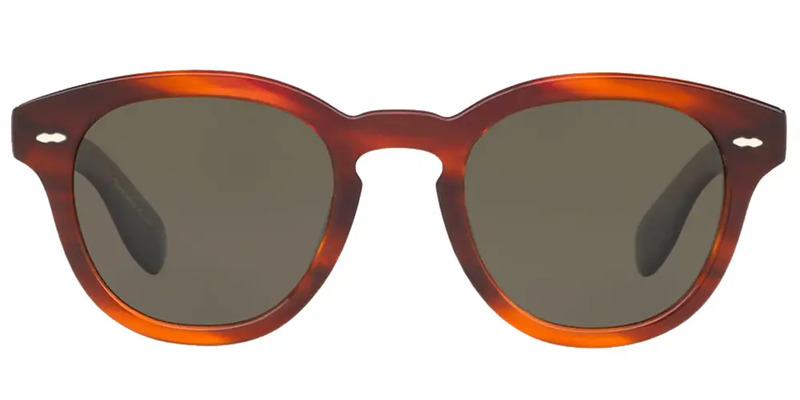 Comprising timeless designs and contemporary icons, below we’ve pulled together our edit of the best sunglasses styles for 2019. Trust us, all that squinting is going to give you wrinkles. First, here are a number of things you should consider carefully before committing to a new pair of sunglasses, from face shape to lens quality. The sunglasses face shape debate is a minefield, but there are certain conventions to follow. If your face is longer than it is wide – with softer lines around your cheeks and jaw – the last thing you want to do is make it appear longer, so avoid anything too small or John Lennon-like. Luckily, the rest of the sunglasses world is your oyster, so feel free to choose between square and rounder styles, with oversized and drop (think aviators) silhouettes working particularly well too. For the rest of us, the rules are a little trickier. Round and curved styles help soften sharper facial features such as pronounced cheeks and squarer jaws. Square frames with rounded corners can also work, but too much geometric shaping can emphasise your angles and appear quite brutal. Square faces (similar length and width) lend themselves to rounder styles, while rounder faces will benefit from a bit more structure and definition. If ever in doubt, the classic Wayfarer is a universal style that works for almost all men, so start from there. When comparing frames, it’s worth considering colour, material and detailing. Certain features, such as a double bridge or thicker rims, will accentuate particular parts of the face, drawing attention to a bushy brow or chiselled cheek bones. Bold colours have a similar effect, although it’s easier to get away with a splash of colour on a thinner frame. Tortoiseshell, black and metal frames are timeless options that will never fall out of style. 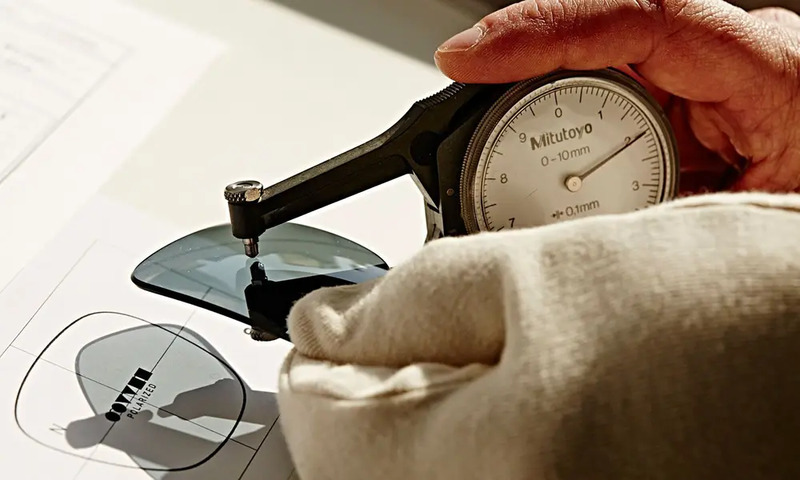 Acetate and metal are the go-to frame materials for most (read: high quality) sunglasses on the market; the former being stronger and lighter than cheap, moulded plastic versions, ensuring increased durability and comfort. Metal frames, meanwhile, offer increased malleability and adjustability, lending themselves to thin and minimal designs. Any eyewear brand worth its salt will provide you with a free protective case, so use it. It will limit scratching and damage to both your frames and lenses, ensuring longevity. The bottom line when it comes to lenses is protection. Opt for those that offer full spectrum (100%) UV-protection, checking for the “CE” logo which guarantees they meet fundamental protection standards. Polarised lenses are designed to block glare and help with contrast, as do some tinted versions. Mirrored and coloured lenses provide a fashionable option and feature heavily in this season’s collections. However, be aware that what is trendy today will usually fall out of favour tomorrow, so if you want value for money stick with traditional lens colours like black, grey, green and brown gradients. Featuring all of our favourite eyewear brands on the market today, each guarantees quality, style and protection in abundance, so you can feel completely confident in your purchase. Times may change, sea levels may rise, the doomsday clock continues to tick… but no matter what happens, the Ray-Ban Wayfarer will be a foolproof choice that never dates. Opt for classic tortoiseshell frames with light brown gradient lenses and you’ll be in good company: everyone from David Beckham to JFK to Leonardo DiCaprio has been seen sporting them over the years. We’ve gone for the practical, foldable option as it’s a lifesaver being able to slot them into a pocket when you’re on the move. Iconic eyewear from an iconic New York family. 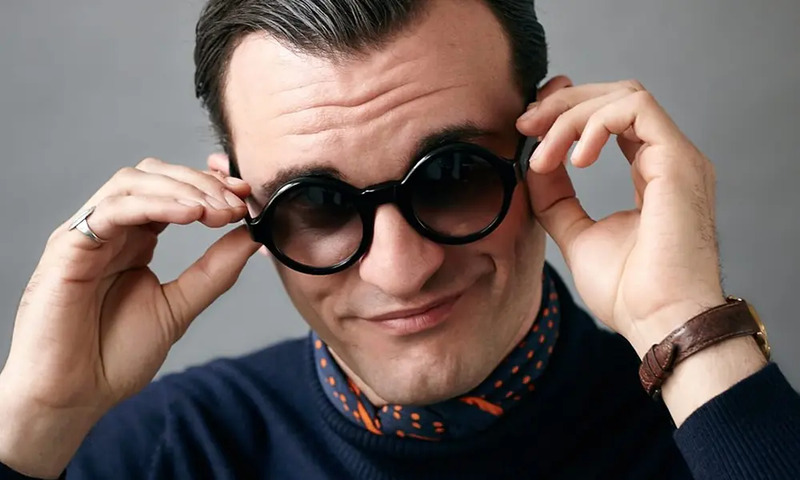 For decades Moscot have created some of the most immediately recognisable spectacles on the market, adorning the faces of Big Apple royalty and trendsetters alike. 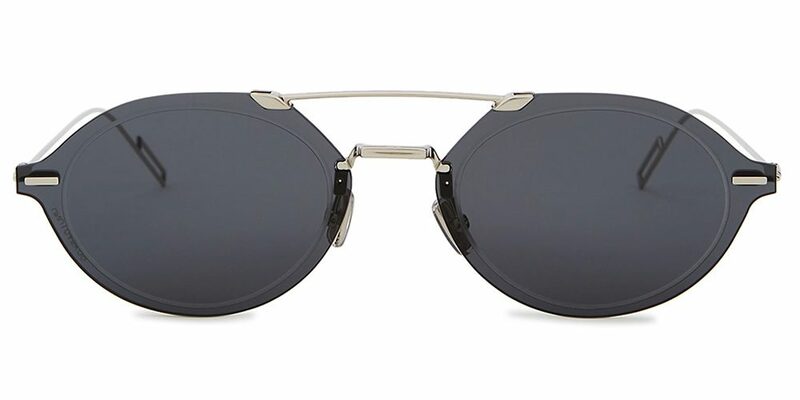 The Zolman Sun is a classic round lens style from the brand’s archive that is great for square and oval face shapes. 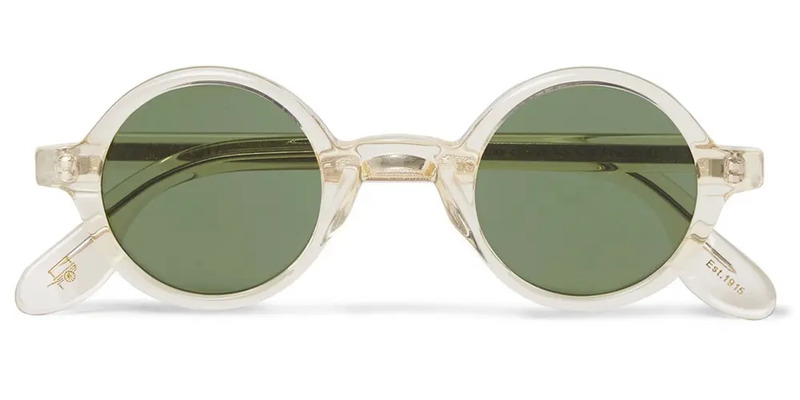 We particularly like the clear frame version with green glass lenses, handcrafted using Italian acetate and incorporating subtle Moscot branding to the arms. Originally a maker of eyewear for pilots, lightweight aviators are Persol’s bread and butter. 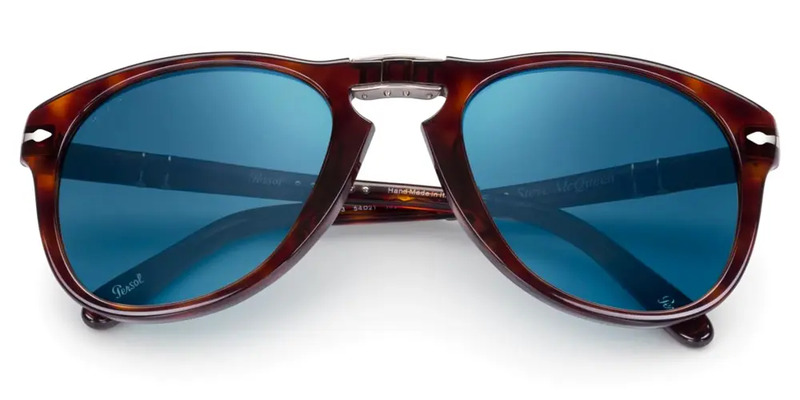 A one Steve McQueen’s choice of sunglasses, the brand has recently released a limited-edition version of its iconic 714 frames, featuring all the same details of the original model sported by the actor in The Thomas Crown Affair (1999). If they’re good enough for The King of Cool, they’re good enough for us. 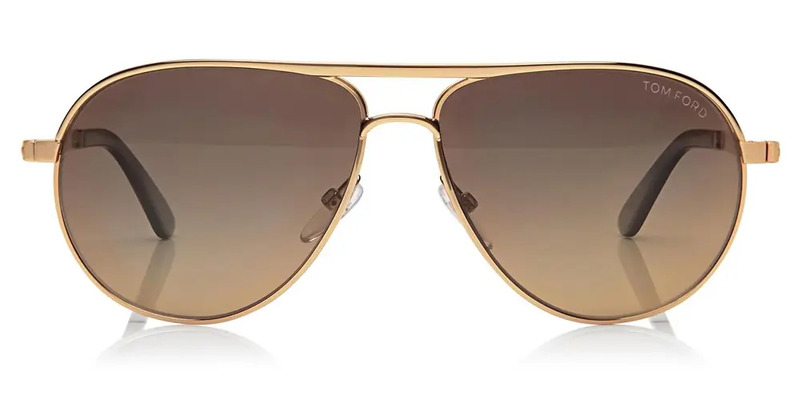 You can’t beat Tom Ford when it comes to tinted aviator swagger. The designer’s Marko shades are made in Italy and ooze 1970s cool, coming in on-trend rose gold with grey gradient polarised lenses. Ideal for longer and rectangular faces. 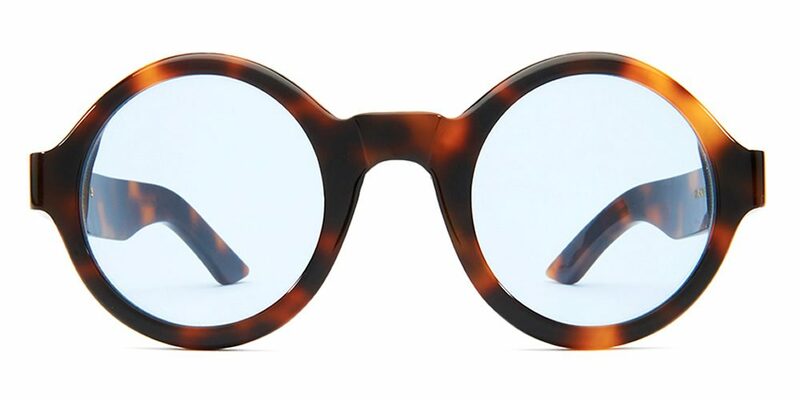 Since their inception at the tail end of the 1960s in swinging London, Cutler and Gross have built a reputation on producing creative, handcrafted frames using the very best Italian acetate. Their oversized 1341-03 square sunglasses are a fashion-forward statement, coming in a striking yet wearable “sherry” colourway and featuring a 9mm milled laminated acetate structure to eliminate weight, making them extremely comfortable despite their size. 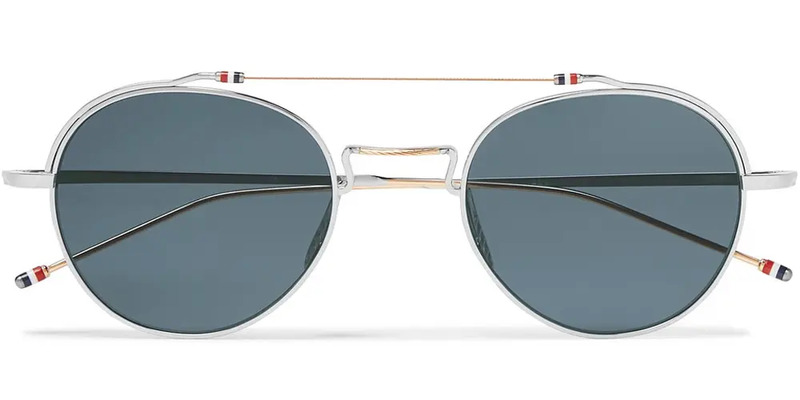 When it comes to interesting and stylish round lens sunglasses, Thom Browne is the master. Combining minimal metal frames with contemporary twists on shape, the American designer’s circular shades demand a double take. Our pick of the bunch, above, are handmade in Japan using silver and gold-toned metal and feature subtle yet striking brow bar detailing as well as Browne’s signature tricolour stripes. A modern classic. Founded in King’s Cross, London in 2013, fledgling British brand Cubitts pride themselves on craftsmanship, with every pair of sunglasses going through 50 stages of production over a six-week period. Their Tonbrudge design has been inspired by modern literary figures of the 1960s and features a flat brown bar and a keyhole bridge, adding a point of difference to an otherwise round shape. 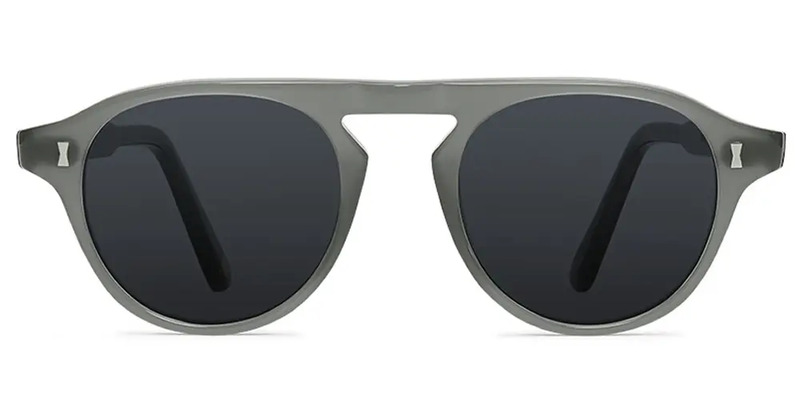 Available in 11 colourways, the slate grey version offers a versatile alternative to classic black frames. Another iconic sunglasses brand that prides itself on frames handmade in England, Kirk Originals are a go-to if you’re looking for classic shapes in timeless tortoiseshell colourways. 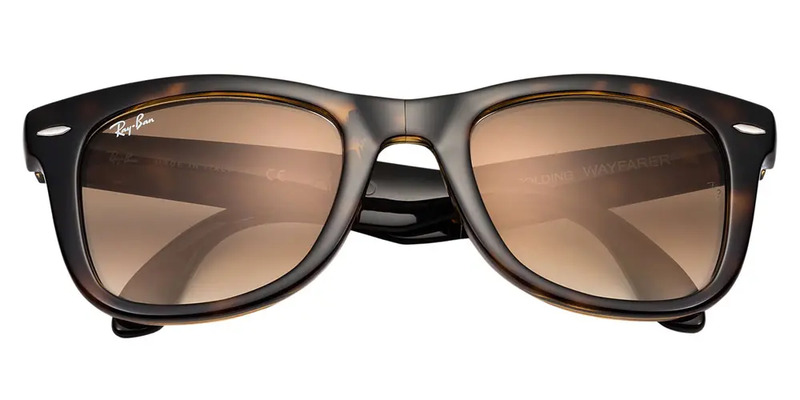 Extremely wearable and with a satisfying weight to them, their Mason model is a slightly oversized, round lens silhouette that is as dynamic as it is elegant. We particularly like the contrasting yet complementary light blue lenses. 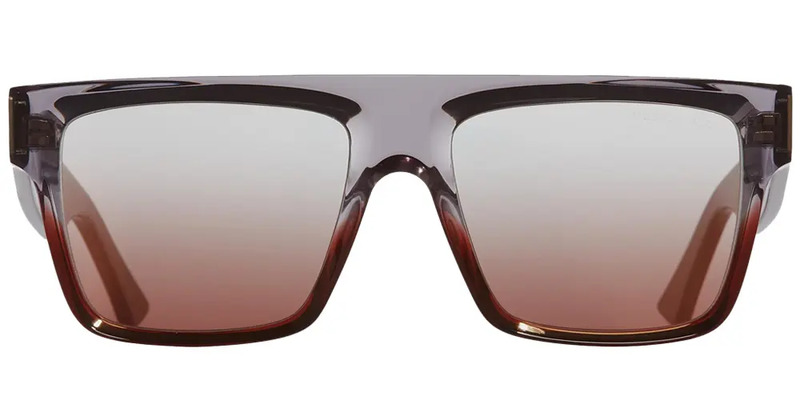 Kim Jones is a visionary designer that continues to push the boundaries of menswear, and he has brought this long-standing ethos and creativity to his new position at Dior Homme – as proven by the brand’s eyewear output this season. The Chroma 3 geometric oval frames come in silver-tone metal and feature an ultra-thin double bridge and grey engraved lenses. Not everyone will be able to pull them off, granted, but they make for one hell of a style move. 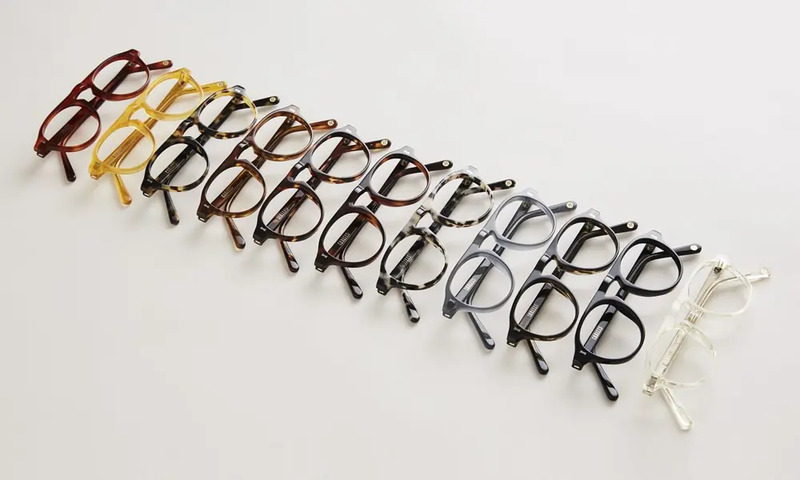 Producing meticulously crafted eyewear since 1987, Oliver Peoples’ glasses continue to be designed and created in their studio in West Hollywood, California. 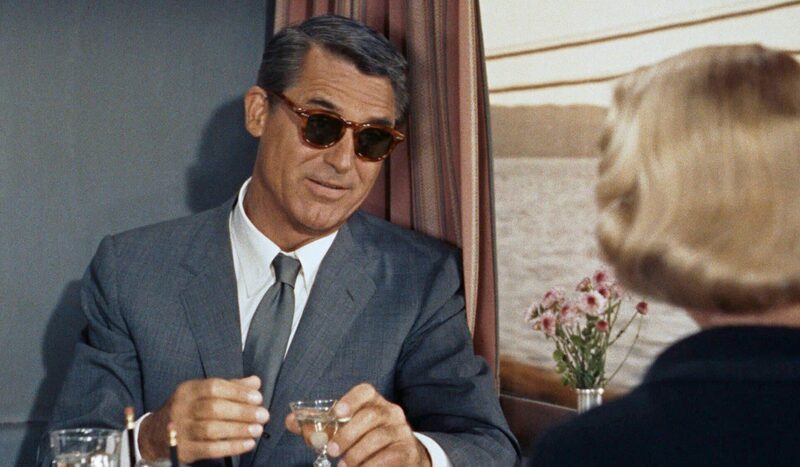 The Cary Grant Sun is inspired by the signature style worn by its namesake in the 1959 cinematic classic North by Northwest. Custom design details help to maintain the integrity of the original model, but quality is given a substantial upgrade thanks to the use of handcrafted custom acetate, hand-laid functional pins and polarised lenses. German eyewear brand Mykita specialises in cutting-edge styles distinguished by a progressive approach to form, construction and materials. This adds up to some truly distinctive designs that you will not find elsewhere, all featuring the latest in eyewear technology. 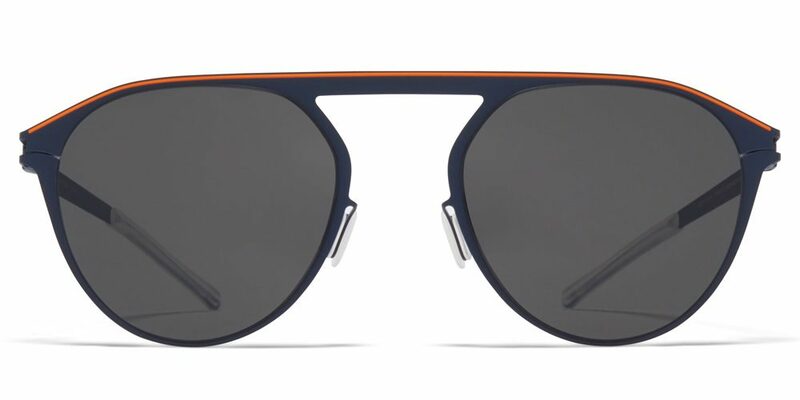 Handcrafted in their home town of Berlin, these Paulin sunglasses – in a not-often-seen navy shade complete with striking orange detailing – are made from lightweight stainless steel and feature silicon temple tips and nose pads for comfort as well as a patented spiral hinge that makes them individually adjustable for a secure fit. Davey Brett is a men's lifestyle writer previously published by The Guardian, Esquire and Shortlist. He's a fan of refined style, expensive books and the best white T-shirts money can buy.